Everspin announced that it will demonstrate its latest MRAM technologies at the Flash Memory Summit 2018 which starts today. In its PR, Everdisplay discloses its first major design win with a "top enterprise storage vendor" for its 40nm 256Mb STT-MRAM chips. 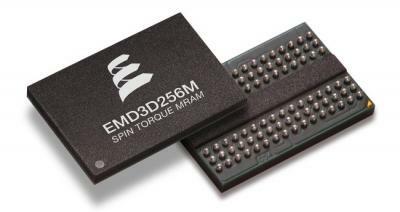 Everspin says that MRAM enabled the vendor to achieves new levels of performance, storage capacity and reliability.